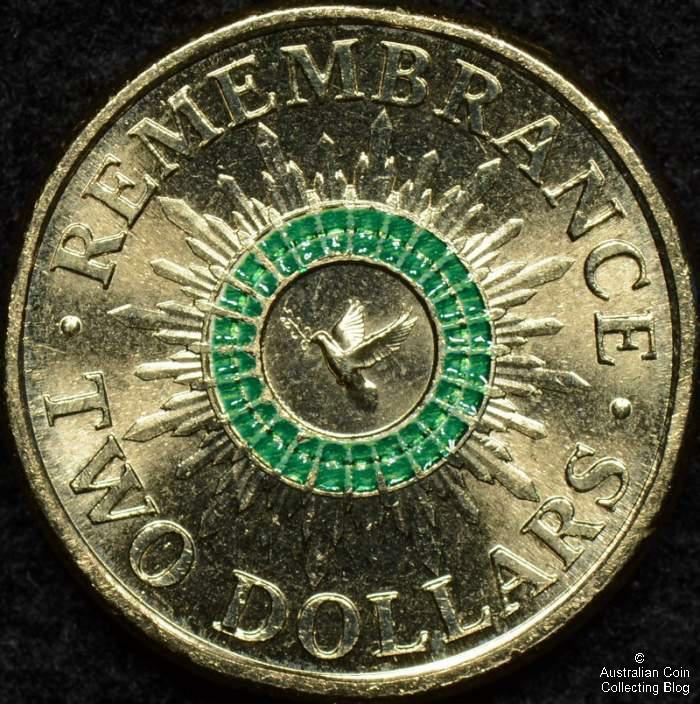 A few weeks ago the Royal Australian Mint confirmed they would be issuing a new commemorative Australian $2 coin. Printed with green concentric circles the design features a dove with an olive branch for Remembrance. We can expect to see these coins in circulation in the coming months. This coin will also be issued in special collector packaging with a C mintmark and a mintage of 40,000.